Today, we highlight Catherine Shen, TechChange’s Director of Design and Business Development, to hear what it’s like to manage instructional design projects for international development and social change organizations. Read below to learn how she’s built a design career integrating business and art. Born and raised in Gaithersburg, MD! Prior to TechChange, I worked for an online learning startup based in Austin, Texas and a startup social enterprise in Kenya. I started off my career at Deloitte as a management consultant specializing in human capital. It’s been really interesting to work at TechChange because it has allowed me to bring my skills and knowledge from each of my previous experiences. I googled “social enterprise in DC” and TechChange’s name came up! I was looking for a way to be in DC while still working in the startup and social enterprise space. 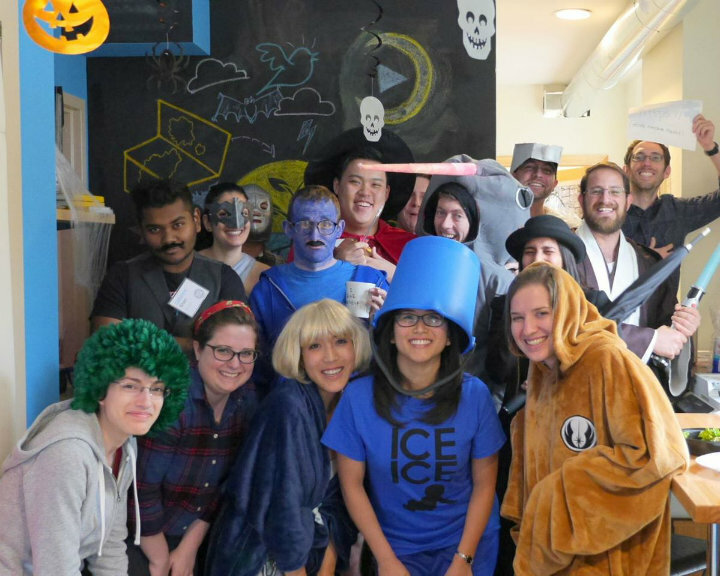 What do you love most about working at TechChange? My favorite thing about working at TechChange has been working with the team. It’s hard to put this in words, but having worked in a lot of different settings, I can definitely say that TechChange truly has a unique group of individuals who are genuinely sincere about social change, highly creative and talented, and intelligent. It’s been a real pleasure to work with everyone. What exactly do you do at TechChange? I started off as a business analyst and launched TechChange’s consulting practice for creating interactive courses. On a day-to-day basis, I manage a portfolio of eLearning projects where we custom design digital learning experiences for clients like the World Bank, International Youth Foundation, USAID, and others. For clients, we help them communicate their expertise in a format that is easily accessible, scalable, and effective. For learners, we empower them to be change agents in the social field by providing important information in engaging and accessible ways. I’ve always been interested in art and design and started taking painting and drawing classes when I was 4 or 5 years-old and have always wanted to merge business and art together. I think at one point I was really into the idea of directing and producing music videos. Anyways, my first job out of college was along the business route where I was a management consultant with Deloitte but I found myself continuously being drawn to designing user-friendly tools and systems to facilitate organizational processes. Years later, I decided that I wanted to pursue a career that combines business and design and so found myself with the opportunity to utilize my background in international development, consulting, and design at TechChange. 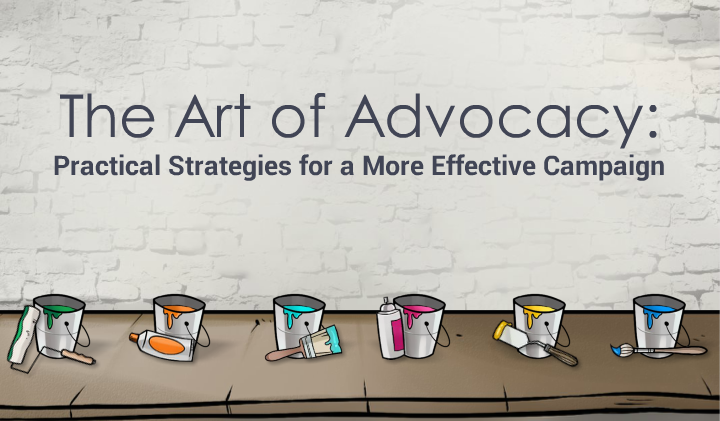 This self-paced online course, developed in partnership the Office of Transition Initiatives at USAID is a 90-minute course highlighting strategies and ideas for managing successful advocacy campaigns. What is the most important lesson you’ve learned in designing for social change/international development? There’s so many. One big lesson is the importance of presenting things to clients so that they can provide input and feedback. It’s more than just – I need your feedback now. If you haven’t spent the time to explain and present clearly what the idea is and get people comfortable with sharing feedback – you don’t allow for feedback and input. I think our chief job at TechChange is to facilitate the process of getting feedback and input from clients and end users as much as possible and so it is our responsibility to elicit the feedback we need. On a larger scale, I think its just a way of working together with other people to get things done. How do you keep up with the latest developments in design? Just doing a lot of self-studying where possible: getting reading recommendations from friends in the industry, and trying to network with other designers both in and out of the DC area. Currently, I’m reading “Don’t Make Me Think” which is a great book on the fundamentals of user experience design and has recently been updated. What is your favorite TechChange moment so far? 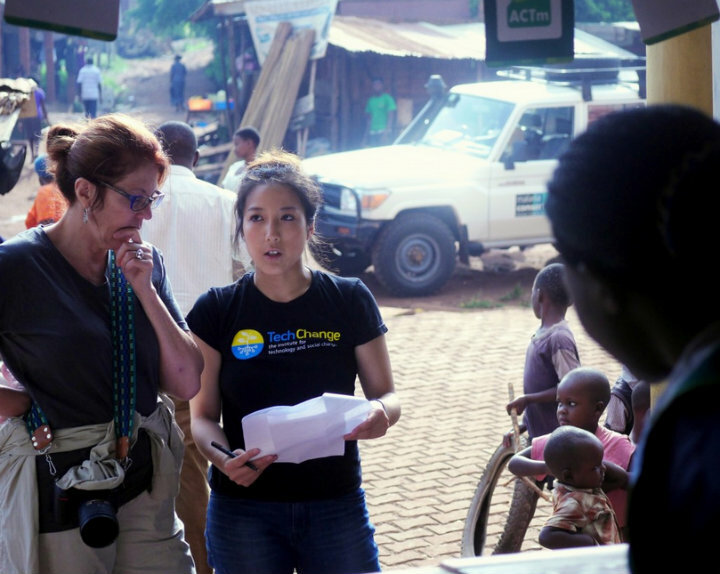 Catherine Shen leads an online learning project for rapid diagnostic testing for malaria in Uganda. There’s been a lot but one that sticks out was traveling to Uganda to run a pilot testing for our malaria treatment course. My team and I had spent literally many sleepless nights during this trip ensuring that the interactive course was working and designed beautifully and accurately – the button placements, the shade of colors, all of these things. Having agonized over it so much, it was kind of funny how during the testing, there was a huge thunderstorm outside the internet cafe we were in. There was a torrential downpour and rivulets of mud flowing outside – and I almost thought I would see one of the parked car being carried away in the stream of water! Yet inside were folks quietly immersed in going through our interactive course on treating and preventing malaria. I’m not sure why it was my favorite but maybe it was just a very interesting juxtaposition and reminder to me both of the potential impact of our work and the context in which we work. What do you do when you’re not at TechChange? When I’m not at TechChange, I’m probably learning to cook, spending time studying up on new design skills, and thinking of new outdoors adventures. If you had to direct someone to the best place to eat in D.C. where would it be? Since I’m from Maryland, I’ll give some local tips. The best place for Chinese food on the Maryland side is in Rockville. Bob’s Noodle in Rockville has some amazing soup dumplings and Taiwanese dishes!